The plaintiff argued that she had not signed the waiver and that it was void in any case because the defendants’ negligence was negligence per se. The plaintiff argued that the defendants’ negligence was negligence per se based on the gym’s allegedly violating a building code. The building code prohibited placing electrical wireways across aisles that were greater than 30 inches wide. The defendants presented a club membership agreement that had been signed by Ziegler’s husband to try to show that she had waived the club’s liability. The plaintiff argued that her husband’s signature was not enough to waive liability claims that Ziegler might have on her own. She also argued that the defendants could not authenticate a signature on an amendment to the membership agreement. The defendant did not have a custodian of records and could not state how the signature was collected. On the day before the trial, the defendant said that the signature was an electronic signature, but the plaintiff argued that the defendant did not comply with the authentication requirements for electronic signatures. The defendant argued that the plaintiff’s claim was barred by its waiver of liability. The defendant also argued that the space between the treadmills was not meant to be an aisle and that the plaintiff had to turn sideways to fit through the space. Prior to trial, the plaintiff made a §998 demand in the amount of $200,000. She later increased the demand amount to $495,000. The defendant made a § 998 offer in the amount of $35,000. Since the parties did not settle, the case proceeded to trial. The jury trial lasted for seven days before both sides rested. The plaintiff called two treating physicians, an engineer and a handwriting expert as expert witnesses at trial. The defendant called an orthopedic surgeon, an engineer and a handwriting expert as defense experts at trial. After deliberating for three days, the jury returned a verdict in favor of the plaintiff. The gross verdict amount was $636,098.18. However, the jury found that the plaintiff was 25 percent at fault for her accident. She received a net award of $477,073.64. In California, people who sign waivers of liability are generally viewed as having assumed the risks of injury when they are on the premises of others. This means that if they are injured, they generally will be barred from recovering damages. However, CACI No. 451 instructs jurors to consider whether the defendant’s negligence amounted to negligence per se or gross negligence. If the jury finds that the defendant’s actions amounted to gross negligence or negligence per se, the waiver of liability will not bar the plaintiff from recovering damages. In Ziegler’s case, the defendant argued that the plaintiff’s claim was barred because of the waiver of liability. The jury found that the actions of the defendant did not amount to gross negligence. After the plaintiff’s engineering expert testified that the wireway was a violation of the electrical code, the court refused to instruct the jury about negligence per se based on the electrical code. However, the court did instruct the jury about negligence per se based on the potential building code violation of locating the wireway in an aisle. Another issue in the case was the waiver and the signature on the amendment. The original club membership agreement was signed by Ziegler’s husband but not by her. His signature was not enough to waive any rights that she had to recover damages for her injuries. In order to admit documents into evidence, they must first be authenticated according to the requirements that are contained in Cal. Evid. Code § 1400 et. seq. 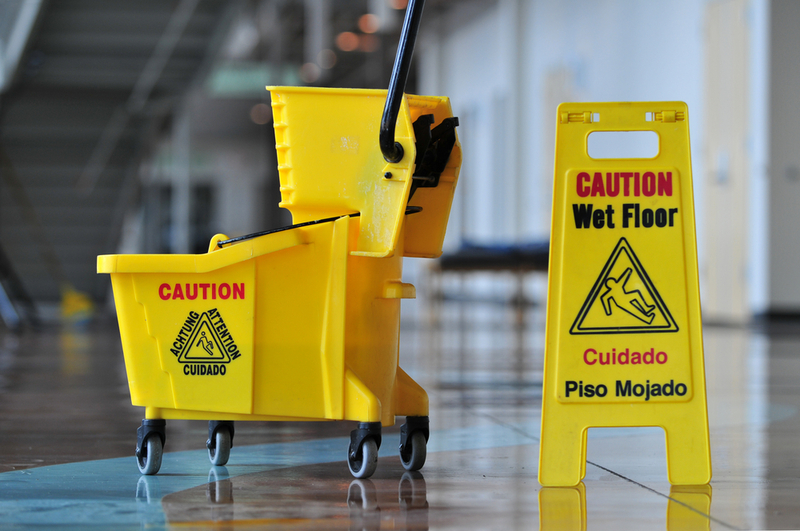 Under these rules, waivers of liability are viewed as contracts. As such, they must have valid consent and authentication before they will be admissible in court. In Ziegler’s case, the defendant was unable to show that she had signed the original contract because it only had her husband’s signature on it. The defendant was then unable to authenticate the purported electronic signature because it did not comply with the authentication requirements for electronic signatures. Because of these issues, the jury found that the waiver did not bar Ziegler’s claim and awarded her a verdict in her favor. If you have suffered a serious injury while you were on the premises of a gym or other recreational facility, you may still be able to recover damages even if you signed a waiver of liability. It is important for you to talk to an experienced premises liability lawyer in Los Angeles to find out whether the facility’s actions may have amounted to negligence per se or gross negligence. If the facility violated a code or law, you may be able to recover under a theory of negligence per se despite your waiver. An attorney may assess the evidence in your potential claim and offer you an honest analysis of your likelihood of winning your claim. To learn more about the rights that you might have, contact the Law Offices of Steven M. Sweat today to schedule your free consultation.